Hair transplant is a surgical technique in which hair follicles are implanted from one section of the head to another region where the hair is receding. Hair transplant can be operated on both men and women facing bald spots, hair loss, or thinning hair. RichFeel along with Ailesbury Hair Clinic of London launched the ‘Aesthetic Hair Implants- AHI’ technique for the first time in India. It is a definite improvement over the standard methods as it guarantees virtually painless hair grafting. The hair grown using the AHI technique available at the RichFeel Aundh clinic not only looks natural but is much thicker. RichFeel ‘Aesthetic Hair Implants- AHI’ is a state-of-the-art surgical technique wherein hair follicles are extracted from the donor site and implanted on the recipient site by using a patented mechanised extractor. The healing of the donor site is quick, and the extraction marks are almost invisible to the naked eye. It utilises small punch grafts of 0.5-0.8mm which has no scope of cuts or any type of stitches. 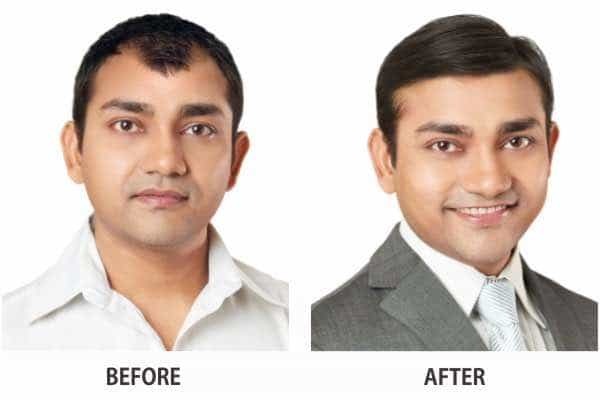 The AHI technique available at RichFeel’s Aundh clinic is a blessing in disguise for individuals who wish to recover hair lost to pattern baldness. Address : Gaikwadvilla Apt., 1st Floor, Office No.2, Opp. Punjab National Bank, Aundh, Pune – 411 027. The cost you pay for the hair transplant is equivalent to the follicular grafts being transplanted on your scalp. Once you get a consultation done at the RichFeel clinic in Aundh, the specialist will help you determine the full cost of your procedure. To arrive at our Aundh clinic, the location is Gaikwadvilla Apartment, 1st floor, Office no. 2, Aundh. The nearest landmark to the Aundh RichFeel clinic is Punjab National Bank. We are open seven days a week from 10AM-8PM. RichFeel has many centres in Pune, customers from locations such as Anand Park, Varsha Park Society, and Pashan visit the Aundh RichFeel centre. If you are travelling via bus, the closest bus stop is Green Park. Customers can also take a cab to reach the Aundh clinic.